Today was Day #5 of Chocolate and Toffee Theme Week. 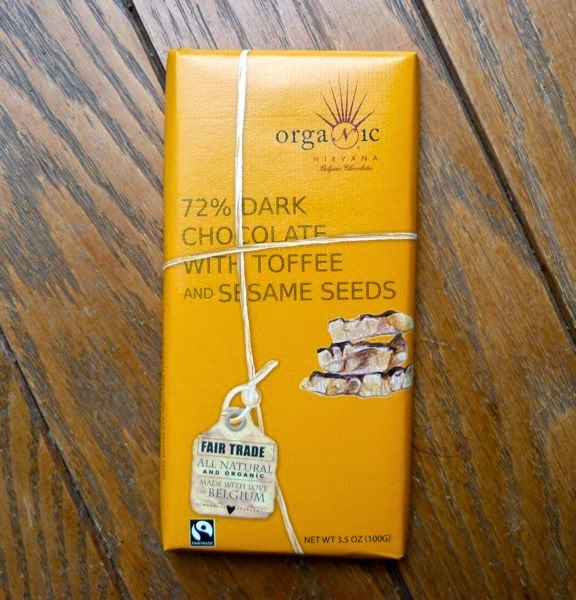 This Nirvana Chocolates Organic, 72% Dark Chocolate bar is a good example of how cocoa bean origin (cocoa beans/mass grown in the Dominican Republic) and European know-how (chocolate made in Belgium) are more transparently marketed. While most high-volume chocolate has long been made this way -- i.e. cocoa beans are shipped to more developed countries (Europe/Eastern Europe, the U.S. with advanced equipment and temperature controlled facilities) for manufacturing a finished bar -- there is more recognition now for the country of origin, and what that means for flavor, as well as other attributes of consumer interest, such as organic and fair trade (both present here). 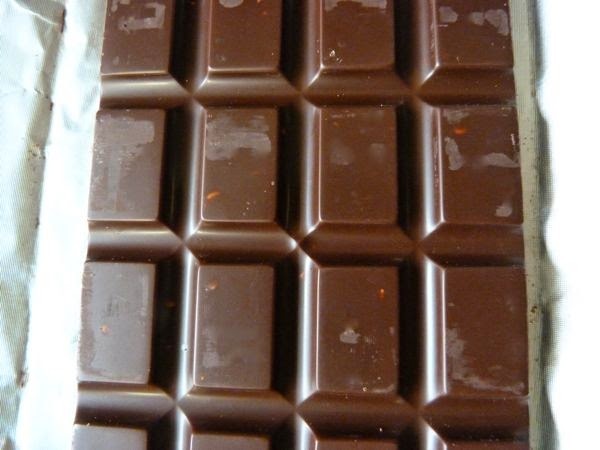 This dark chocolate bar was relatively glossy and broke with a hard snap (well tempered). The bar, "with natural toffee flavor," had a relatively even, smooth dark flavor with the exception of a slight soapy note (like what one may find in ginger, although, to my knowledge, there was no ginger in this bar). Tiny crunchy bits (sesame seeds) added textural interest.